As mentioned in yesterday's post, this past week I had the opportunity to work as an exhibitor for my brother's Herofied Art booth at the New York Comic Con (NYCC). 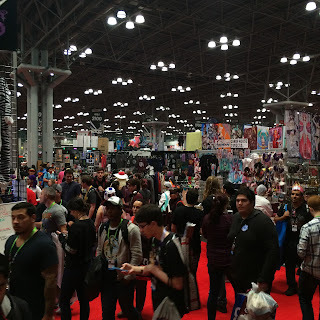 While it was a ton of hard work, we also had some fun moments (like when we were able look around the convention floor and spend money on cool items). 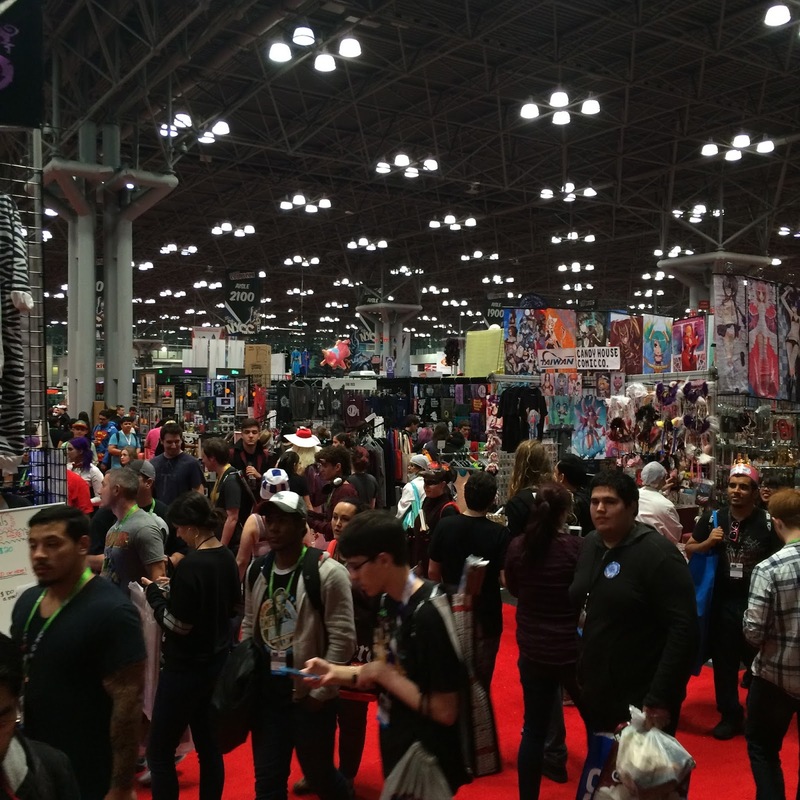 Man is it nice being a vendor at one of these things...no lines for us! Below is a picture of me with the Herofied booth all set up. Stunning art right? 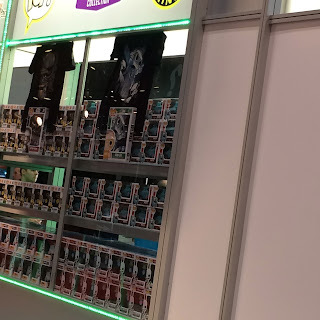 As you may know, this convention isn't geared towards Disney/Pixar fans in slightest (unless you count Star Wars and Marvel, but you know what I mean). That doesn't mean Disney was totally absent though. 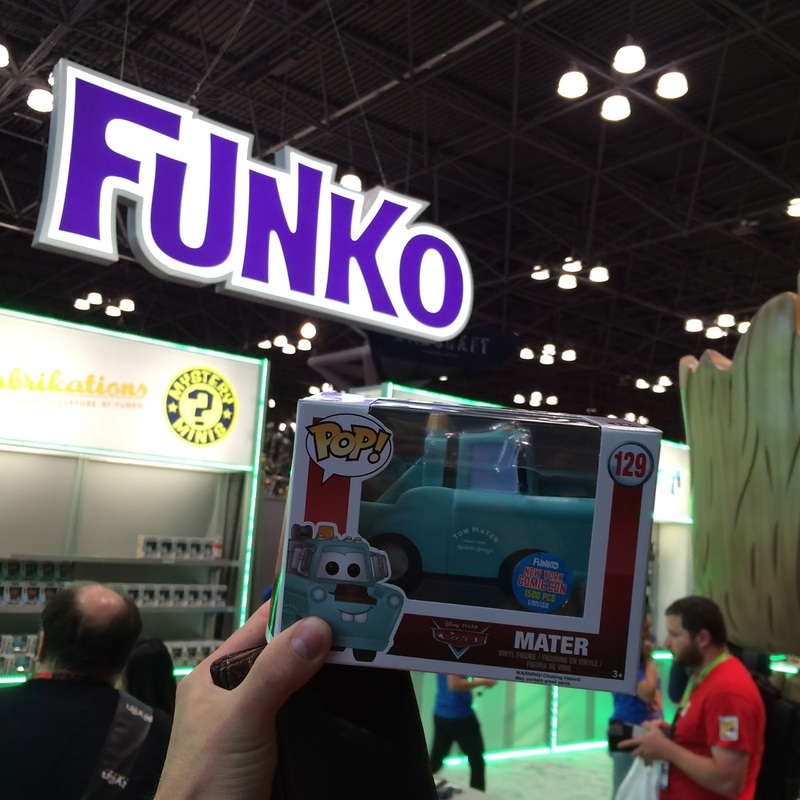 First of all, the official Funko booth was selling a NYCC exclusive "New Mater" "POP! ", so of course I went in with the determination to get that. 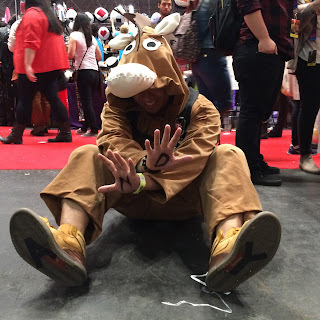 See my full post on that HERE and check out the pics below to witness my success! 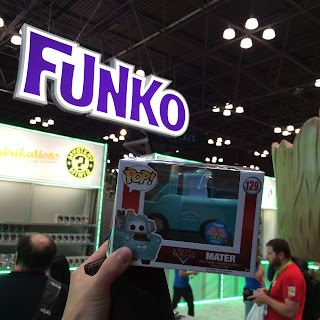 Since, overall, this crowed wasn't generally interested in a Cars Mater Funko, it was pretty easy for me to get my hands on one at the end of the first day. There were plenty left over. 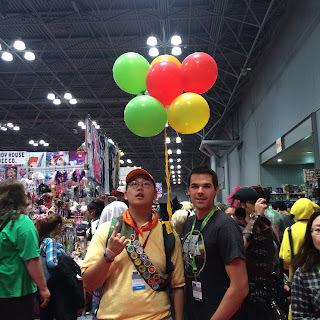 If this was at, say, the D23 Expo though, it probably would have been a different story. Hey, worked for me! 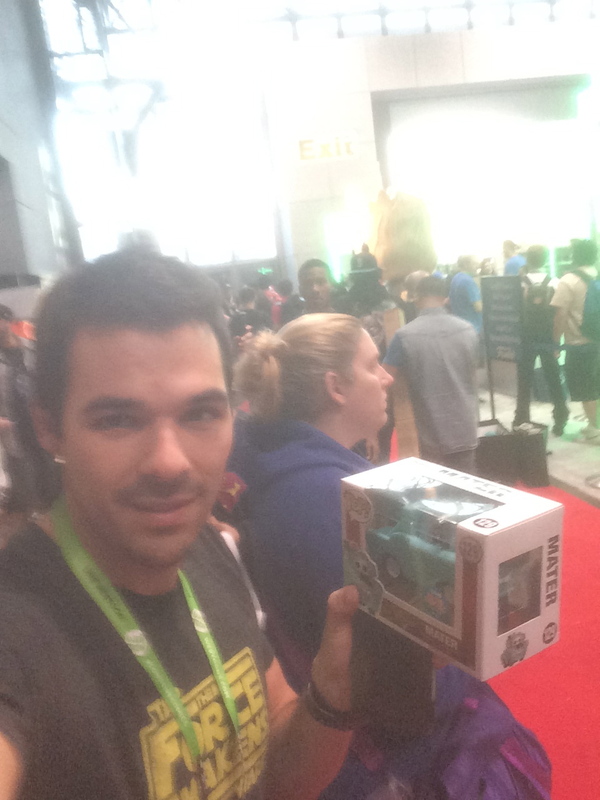 In addition to that great exclusive "POP! 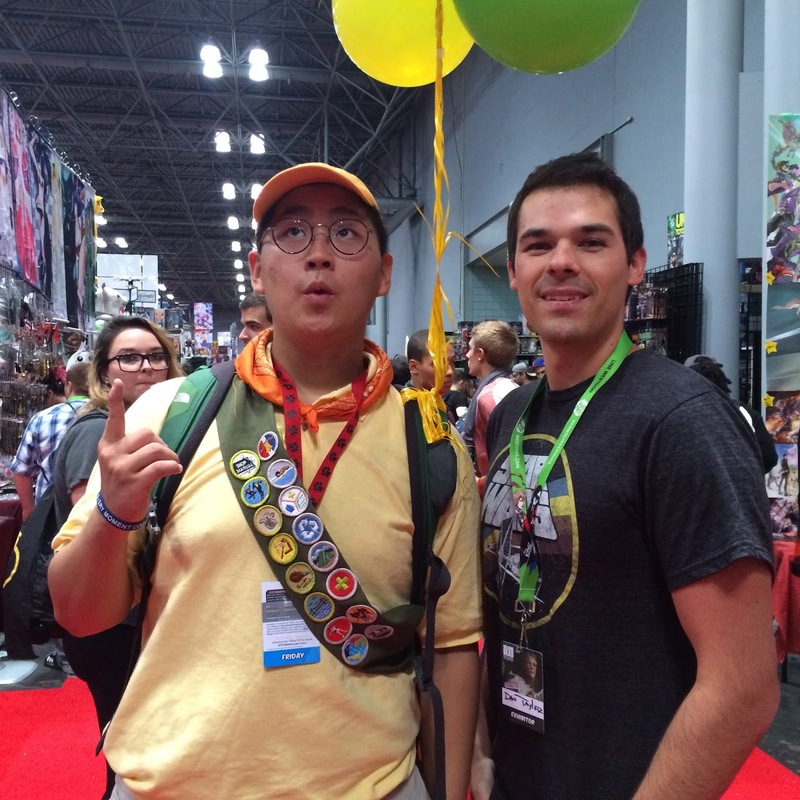 ", I also spotted some fun Pixar cosplay! Check out some of my favorites below featuring Wall·e, Eve, Joy, Bing Bong, Jessie, Bullseye and Russell. I was also able to hang out with Disney artists Dave Perillo and Tom Walen. They are some of my absolute faves! 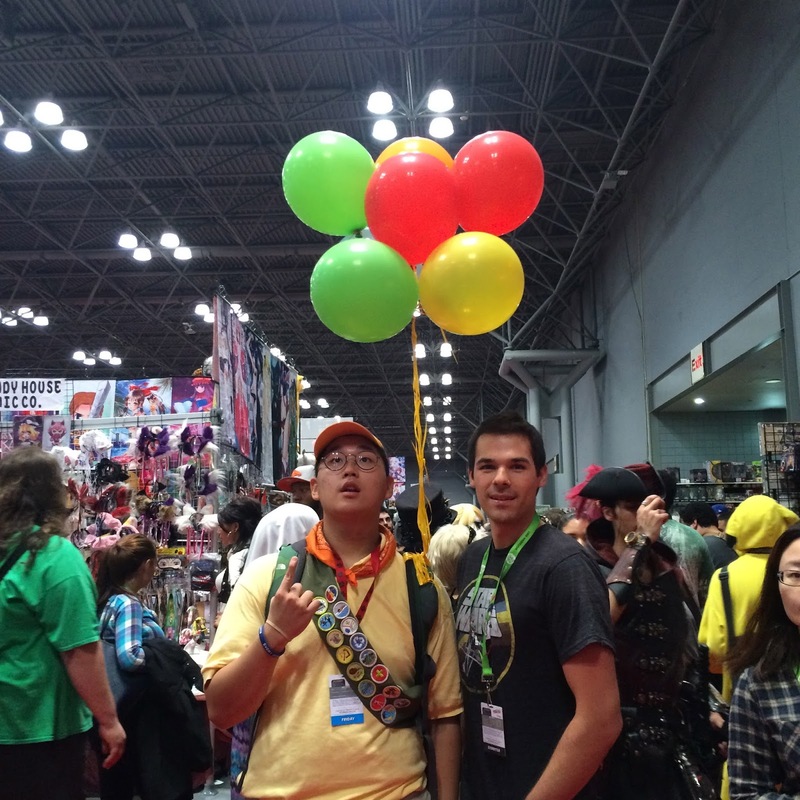 They had their booth set up there and, as always, it was really fun talking Disney/Pixar with them. In fact, this is the third convention I've seen Dave at this year! I wish I could have spent even more time chatting with both of them. Unfortunately though, things were too jammed pack there to hang out very much. I even forgot to snag a shot of us all together. Oh well- next time. Well, that's kind of it as far as Pixar's concerned. It wasn't much, but I'm glad it had somewhat of a presence there. Any questions? I would love to hear from you. Be sure to shoot me an email or comment here on this page if I can help in any way! And be sure to check back daily for more from my collection of Disney·Pixar merch and memories.